Low-carb diets are ineffective in the long-term, if in the long-term you eat high-carb instead of low-carb! Using that fact as a proof that low-carb diets don’t work in the long term is outrageous. The diet labelled as “Ornish” was really the “national guidelines” diet. Therefore, the low-carb diet was found better than the officially recommended diet for weight loss and health markers improvement. No surprise there. 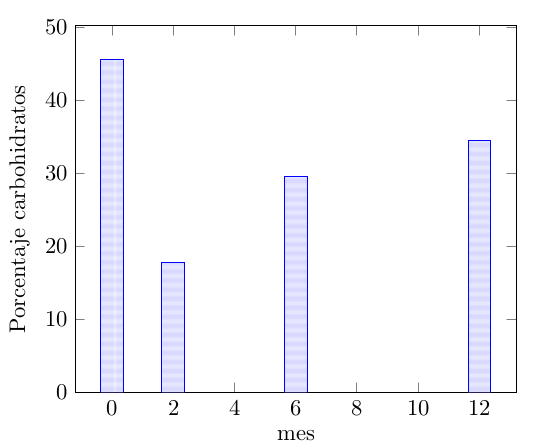 Had they adhered more to the diet, the weight loss would not have decreased with time. 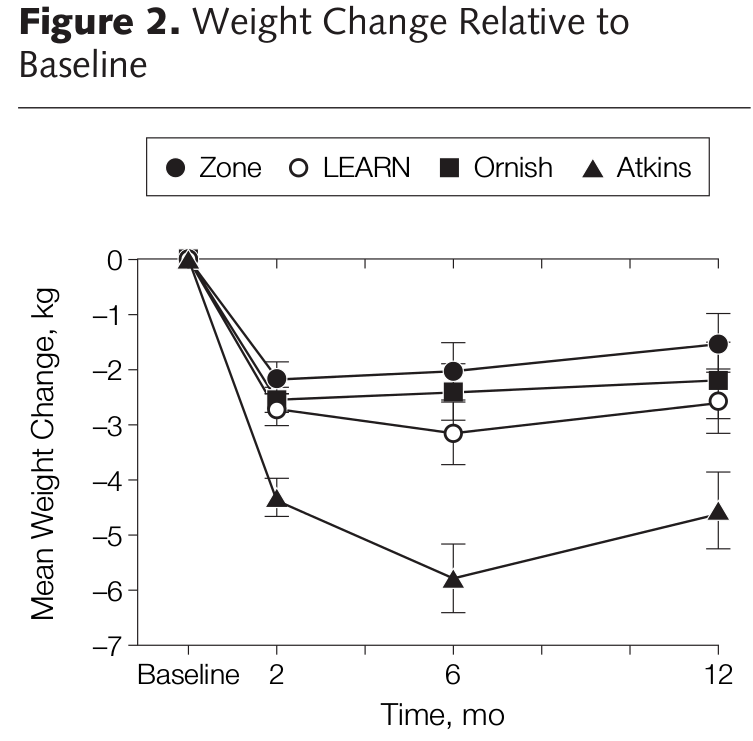 Those most adherent to the low-carb (see Fig1) diet achieved a mean weight loss of 8.2Kg after the 12 months.